smart Careers at Mercedes-Benz Retail Group: Make the smart move. At Mercedes-Benz Retail Group Careers, we are always looking for outstanding and enthusiastic individuals, looking to develop within the automotive industry as part of one of our franchises. We pride ourselves on offering exciting training, which takes you on an adventure like no other car retailer and thrive on being the best. When you join us, our core values will shine through: Passion, Communication, Fun, Integrity and Team. Mercedes-Benz has over 100 years of experience in manufacturing, selling and servicing cars with quality. 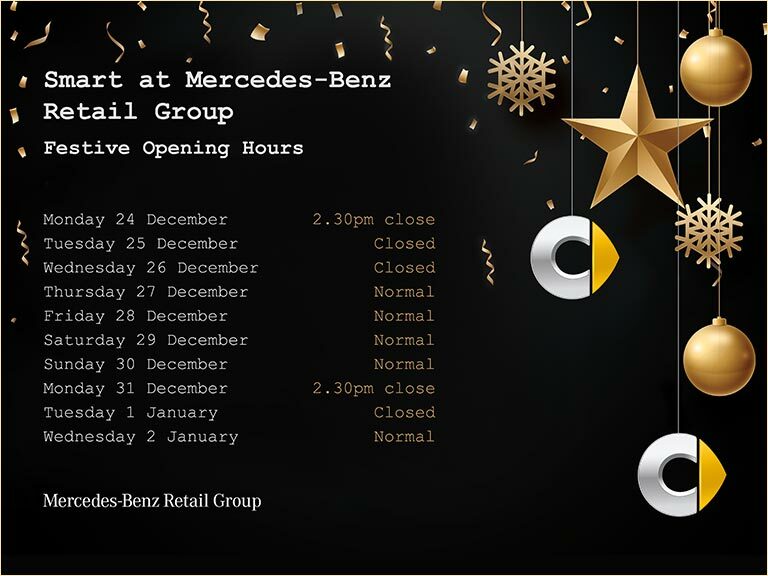 As one of the largest retailers in the UK, Mercedes-Benz Retail Group will ensure your future is part of our history. Born in the 2000s, Mercedes-Benz introduced the smart car to the world. The smart car is unique and continually developed to the highest standard. The model range is exciting, adventurous, comfortable and safe, the perfect small car and the perfect car brand for your career. We are currently offering exciting career development within all of our fun and thriving departments including, mechanical, retail and as part of our excellent apprenticeship programme. If you are passionate about working for an innovative and successful division of Mercedes-Benz Retail Group, we are right for you. smart is constantly evolving and looking to what the future will bring and we want you to be a part of this journey. To view our available smart vacancies in the UK click smart careers.